Project team from left to right: Todd Vision, UNC-Chapel Hill; Jim Balhoff, RENCI; Wasila Dahdul, University of South Dakota; Josef Uyeda, Virginia Tech; and Hilmar Lapp, Duke University. 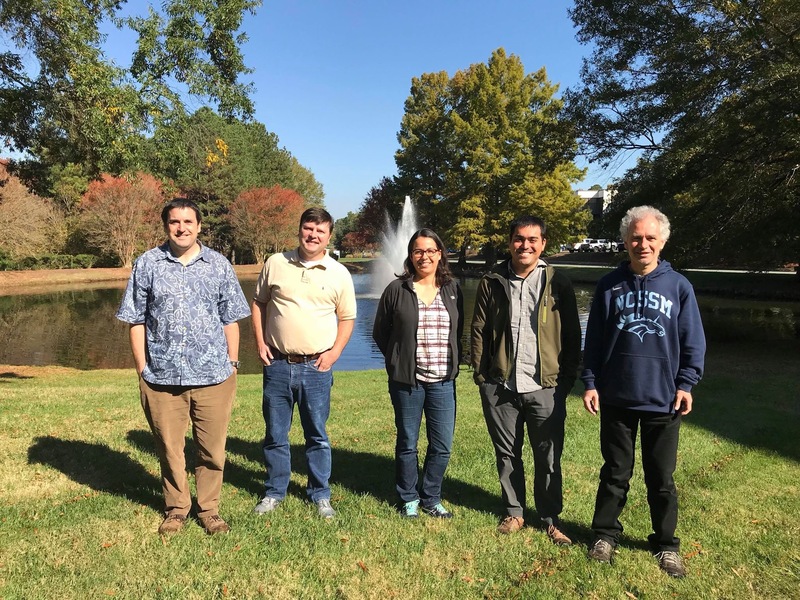 CHAPEL HILL, NC – Researchers at the University of North Carolina at Chapel Hill will play key roles in a new project that applies semantic technologies developed by computer and information scientists to the field of evolutionary biology. Cloud computing lies behind many of today’s most popular technologies, from streaming video and music to email and chat services to storing and sharing family photos. 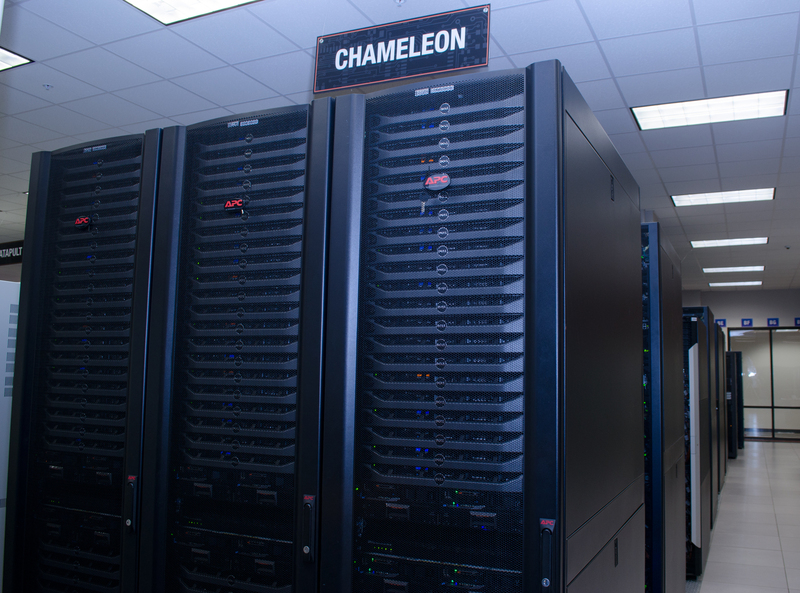 Since 2015, the Chameleon testbed has helped researchers push the potential of cloud computing even further, finding novel scientific applications and improving security and privacy. 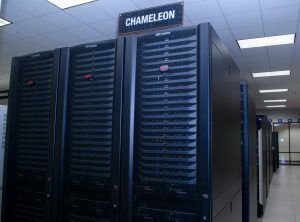 A new grant from the National Science Foundation will extend Chameleon’s mission for another three years, allowing the project led by University of Chicago with partners at the Texas Advanced Computing Center (TACC), Renaissance Computing Institute (RENCI), and Northwestern University to enter its next phase of cloud computing innovation. Upgrades to hardware and services as well as new features will help scientists rigorously test new cloud computing platforms and networking protocols. Note: Nelson Tull is a graduate student in the Department of Civil, Construction, and Environmental Engineering at North Carolina State University. His faculty advisor, Casey Dietrich, is an NCDS Data Fellow conducting research to improve hurricane and storm surge guidance to emergency managers in North Carolina’s coastal counties. Dietrich’s Data Fellows research builds on previous work supported by the North Carolina Sea Grant program. Other collaborators are Rick Luettich, head of the Institute of Marine Sciences at UNC-Chapel Hill, Brian Blanton, a senior research scientist and oceanographer at RENCI, and Jason Fleming of Seahorse Coastal Consulting. To learn more about this research, tune into the September 2017 NCDS DataBytes webinar. CHAPEL HILL, NC – OCF, an organization that specializes in supporting the data challenges of private and public organizations in the UK, is the latest organization to join the iRODS Consortium, the membership-based foundation that leads development and support of the integrated Rule-Oriented Data System (iRODS). 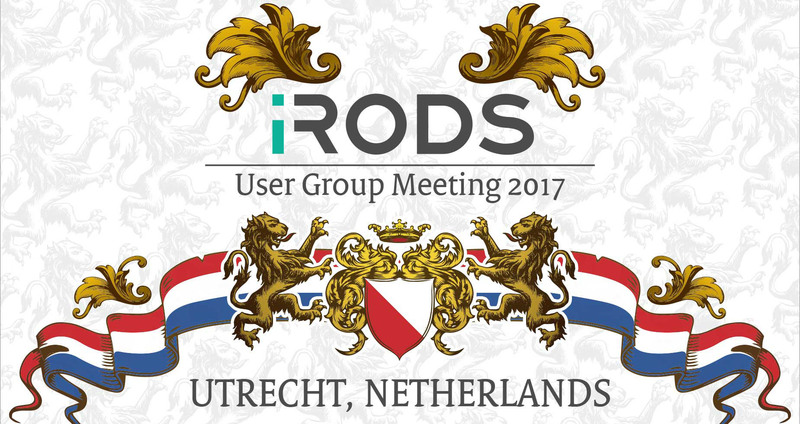 UTRECHT, The Netherlands – Users will take the spotlight during the annual iRODS User Group Meeting, which will feature at least 20 user presentations highlighting the many industries, government agencies, and research institutes who depend on iRODS to manage their data. 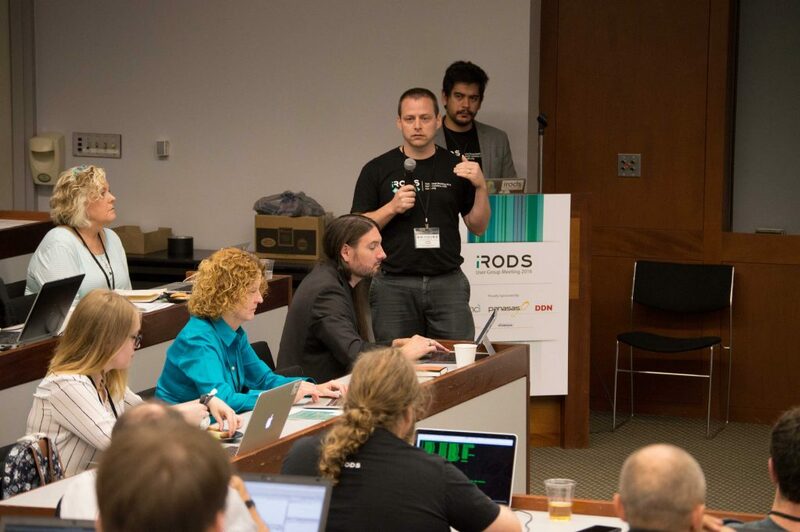 Above: Terrell Russell speaks at last year’s iRODS User Group Meeting. 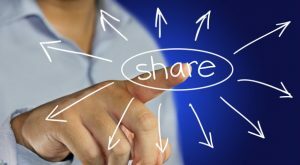 The worldwide iRODS community will gather June 13 – 15 for the first User Group Meeting to be held at Utrecht University in The Netherlands. CHAPEL HILL, NC – RENCI researchers will work with scientists from Clemson University and Washington State University on a project funded by the National Science Foundation to develop cyberinfrastructure aimed at providing researchers around the nation and world with a more fluid and flexible system of analyzing large-scale data.